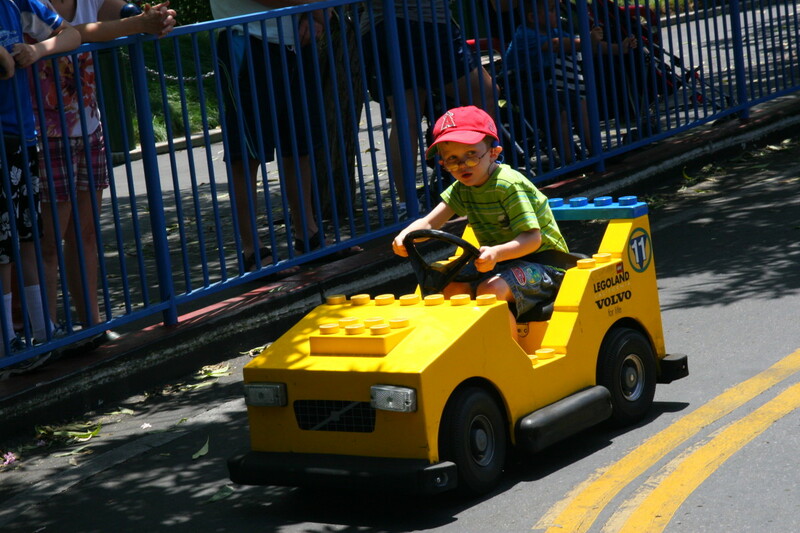 The Legoland California theme park is located just north of San Diego in the city of Carlsbad. This large resort covers over 128 acres and has two separate theme parks (the main ride park and a water park). A hotel will open on the property in 2013, allowing guests to stay in themed rooms adjacent to the main theme park entrance. 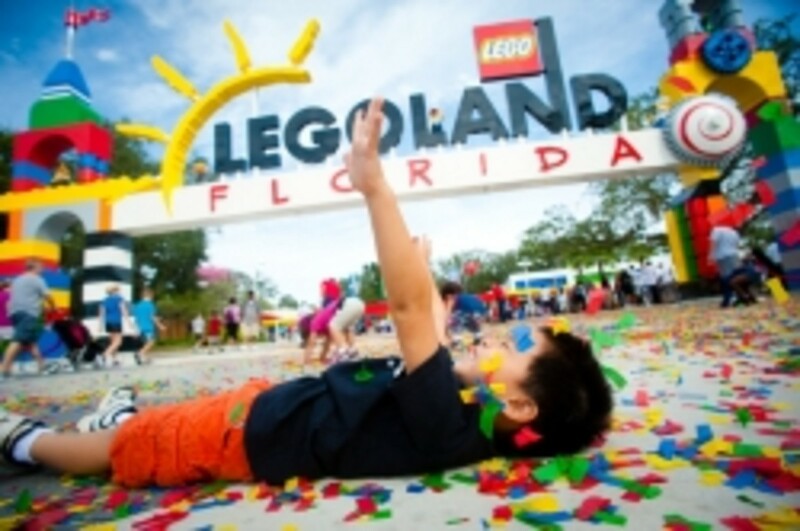 Legoland is geared toward families with young children - kids over the age of 12 years might be displeased with the rides and attractions aimed at elementary school aged children. 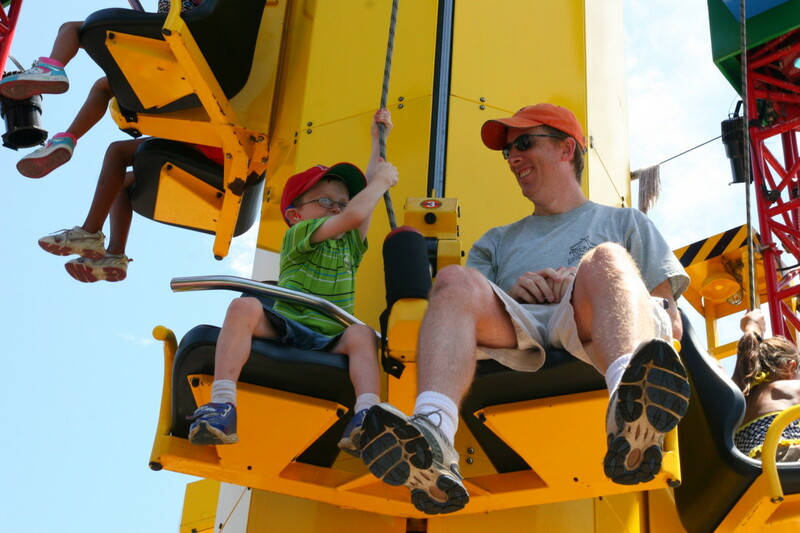 There are a few thrill rides on the property, but the vast majority of the rides are designed to be ridden by young children and their parents. 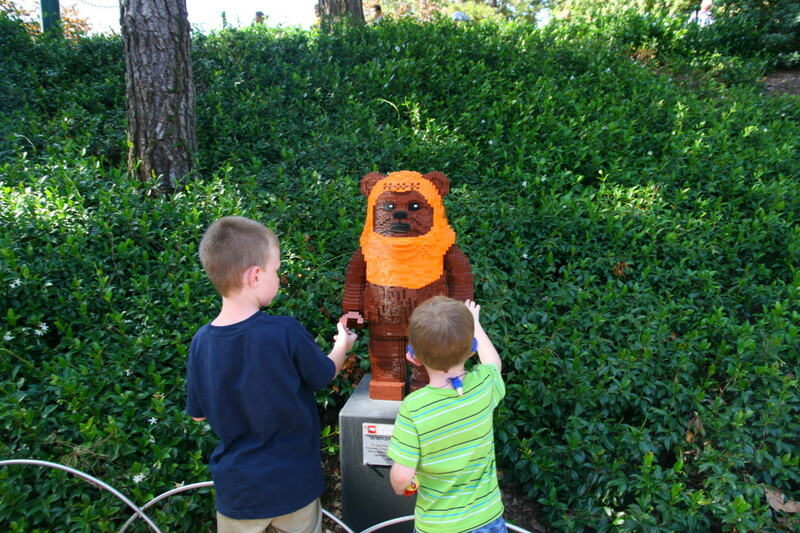 Legoland regularly offers discount packages, so search the website for current deals. Discounted tickets may be purchased through any AAA club membership, and guests who purchase tickets online in advance may enjoy as much as a 20% discount. Are the Aquarium and Water Park Worth the Extra Admission? 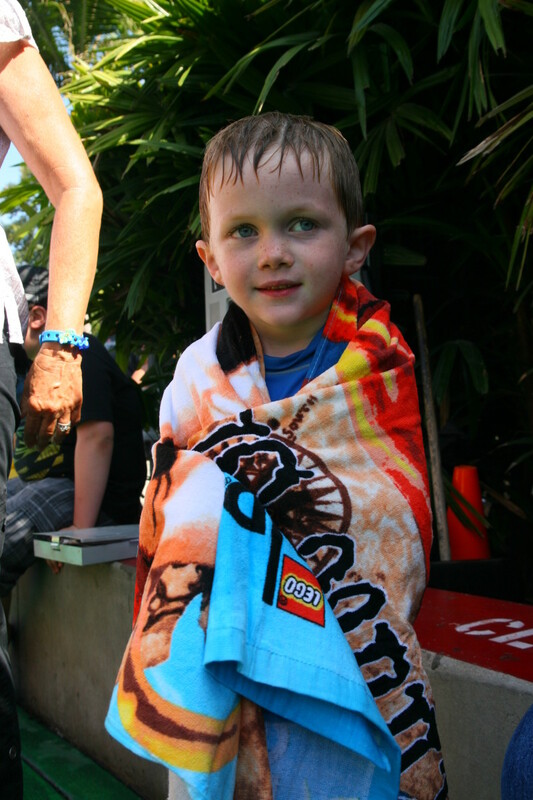 How many days are you planning to spend at the Legoland Resort? Are you going to visit the zoo and Sea World in nearby San Diego? Are your children able to swim independently? 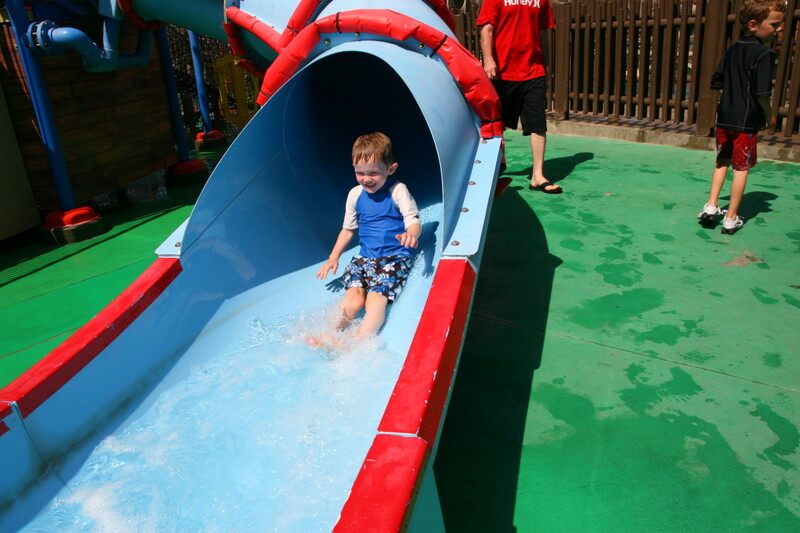 The number of water park attractions is limited to very young children, and children who cannot swim independently may not enjoy the large water slides in the water park. 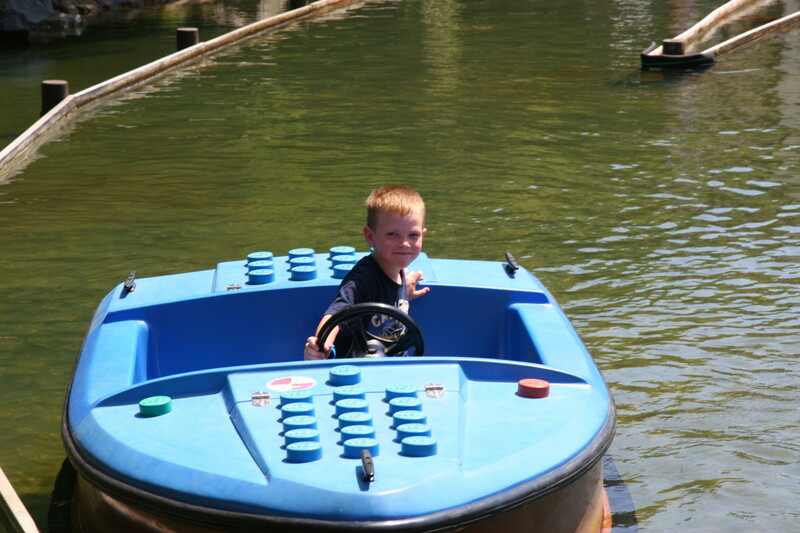 Touring the main Legoland theme park often takes a full day, so a second day is typically required for the water park. For those who intend to visit other theme parks in the area, the beach, or the zoo and Wild Animal Park, a second day at Legoland may not be justified. 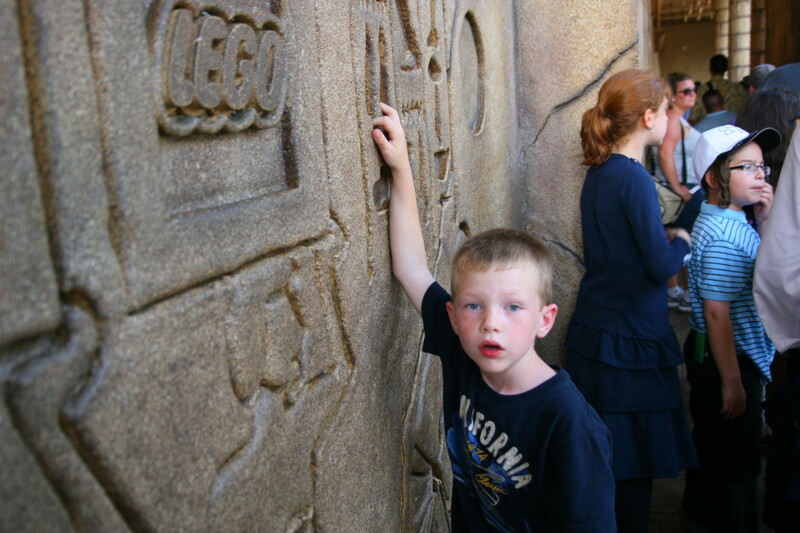 In addition, the main Legoland theme park includes a section called "Pirate's Reef." 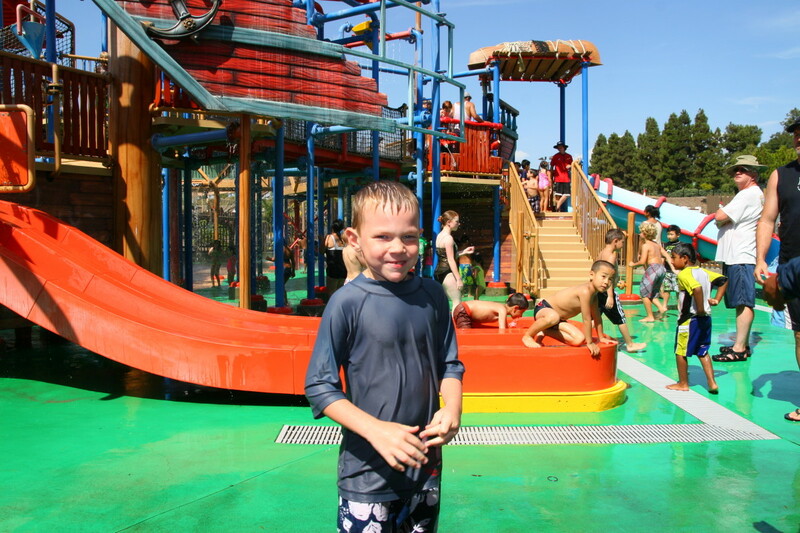 This area contains a massive water playground with slides and tipping bucket - and is included with the cost of admission to the main theme park. 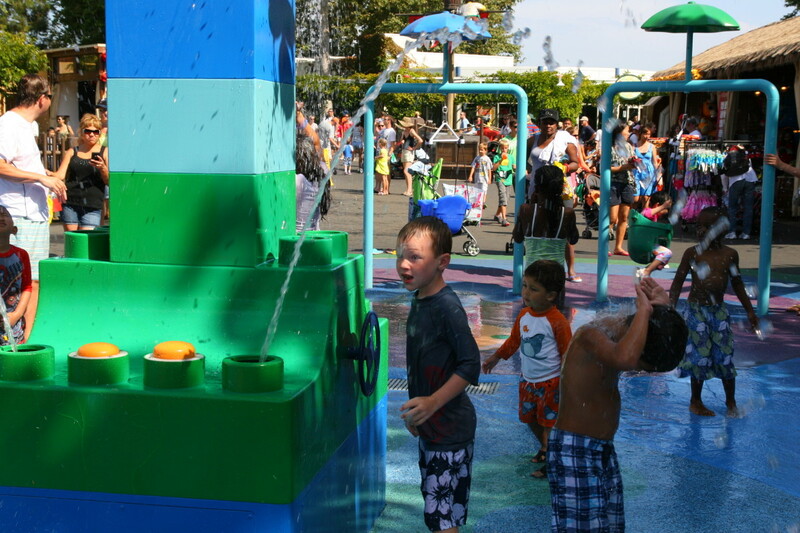 There is no height requirement for this area of the park, so parents with young children will save a lot of money (and time) by simply visiting the water playground in the heat of the day. The Sea Life Aquarium is a wonderful, small aquarium located next to Lego Land. 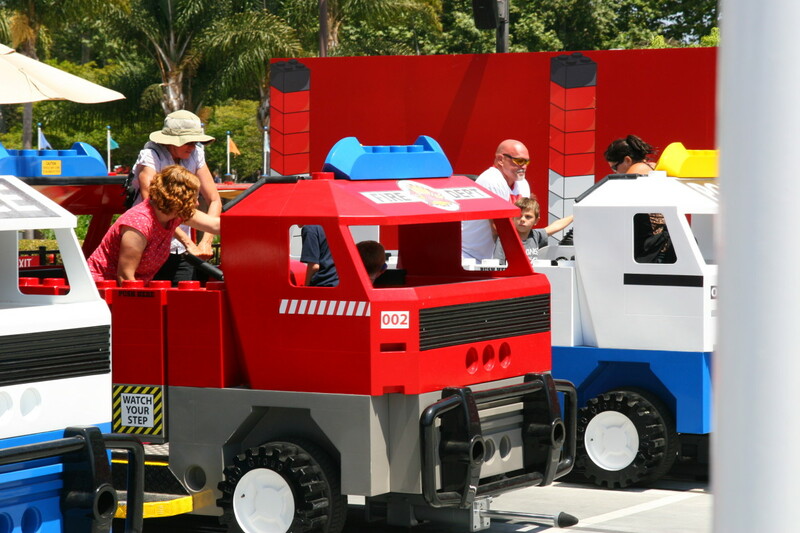 If you are planning on staying for a second (or third) day in Carlsbad, consider adding it onto your Legoland pass. If you intend of visiting Sea World or the aquarium in Long Beach, California, skip the Sea Life Aquarium. Ride the Sky Cruiser first. The lines of the most popular attractions develop long lines quickly. The extremely attractive Sky Cruiser (located in Fun Town) often generates a wait time over 2 hours in length during the summer months. This ride is extremely "slow loading" (only a few children may ride at a time) over a long, circuitous path. Parents with preschoolers and elementary school aged children should try to visit this ride first, as the lines rarely shorten during the day. There are many water attractions in the main theme park. 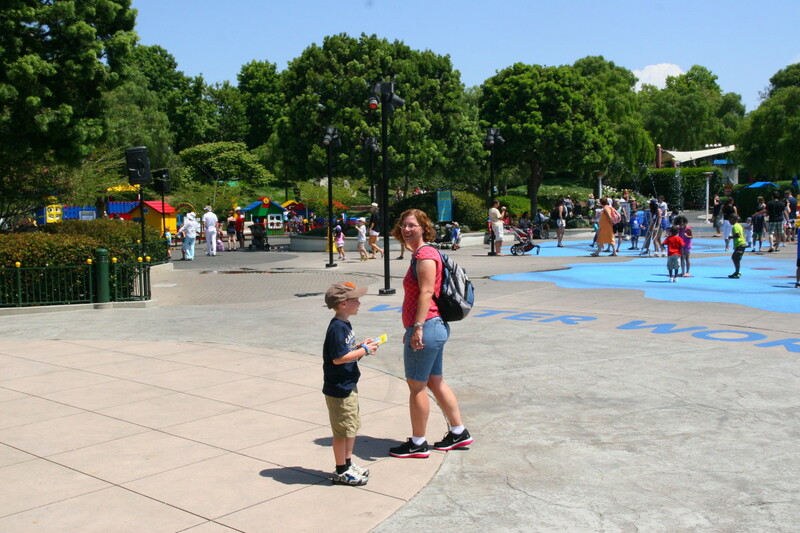 Splash pads, fountains, and a water playground are found within the gates of the park. Bring swimsuits, a change of clothes, and a towel. Towels can be purchased from several gift shops, but they are extremely overpriced and of poor quality. Apply sunscreen, and apply it often. The sun shines brightly in Southern California, and children are often in and out of various wet attractions. Apply sunscreen frequently to prevent sunburns while standing in queues in the bright sun. Chill out and let the kids play. 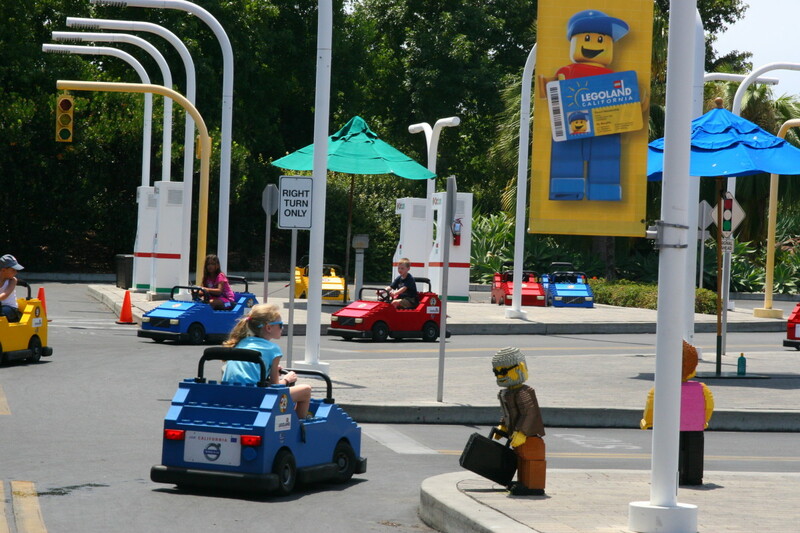 Legoland contains many rides, and it also contains many playgrounds. 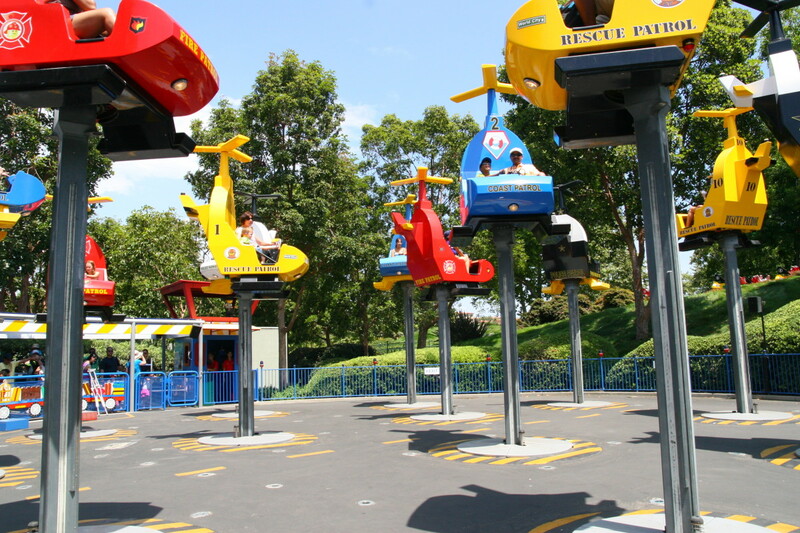 The playgrounds are extensively themed and may occupy your children for hours on end. Set time limits before you enter a playground, and be prepared to relax with a cold drink and a snack while your kids run around like maniacs. 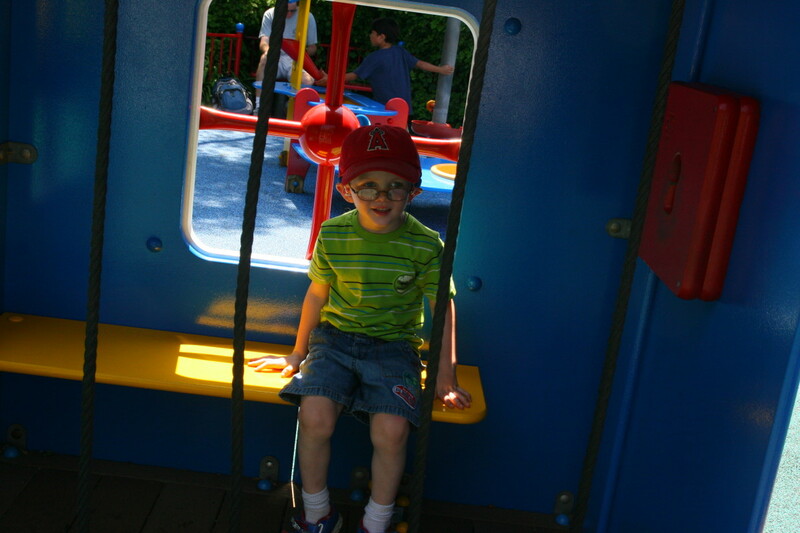 The author's sons, ages 4 and 6, had more fun on the incredible playgrounds than on many of the rides. The Beginning: the entrance to the theme park. Dino Island: A small coaster and dinosaur fossil dig site are found on Dino Island. Duplo Village: A splash pad, large playground, a safari ride, and a "fairy tale" boat ride are located in Duplo Village. This area is geared toward toddlers and preschoolers. Fun Town: 9 different ride attractions, the Lego factory tour, and several counter-service food carts are in Fun Town. This area is geared toward preschoolers and elementary school aged children. Pirate Shores: Water rides rule in this area: a flume ride, an interactive boat ride with water cannons, and two water playgrounds are located here. Castle Hill: An amazing playground called "Hideaways," a roller coaster, a unique thrill ride, and miniature golf are located in this area. Land of Adventure: is an Egyptian themed land containing several kiddie rides, an arcade-style laser gun ride, and several playgrounds. This area also has several attractions requiring an additional fee (a "monkey climb" and a few midway style games). 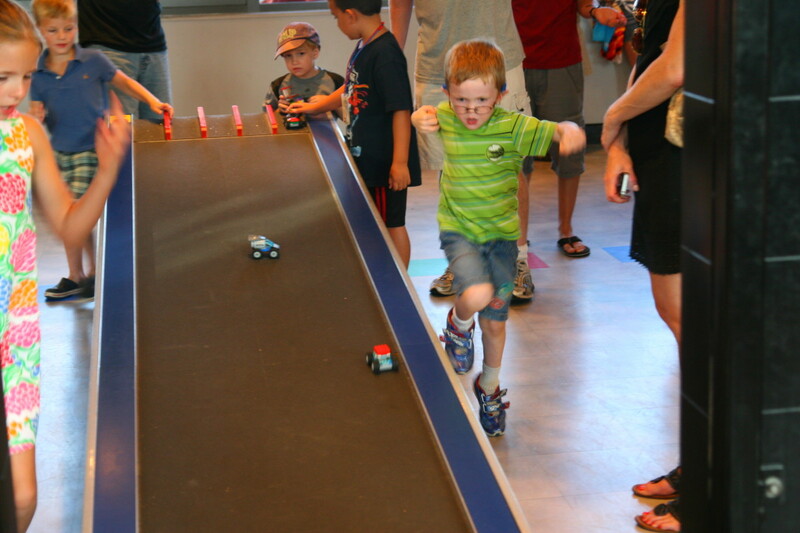 Imagination Zone: has a wilder "technic" coaster for older elementary school aged kids and teens, along with several other rides and a build-and-test race car attraction. 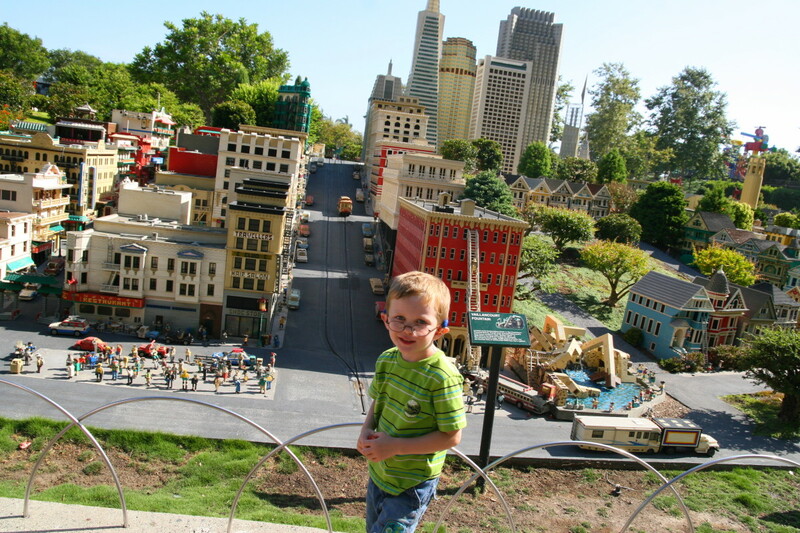 Miniland, USA: consists of several city scenes made entirely out of Legos. In 2012, the area was beginning to look faded and in need of minor repairs. The buildings are very detailed and interesting. A Star Wars mini-land area has been added recently. 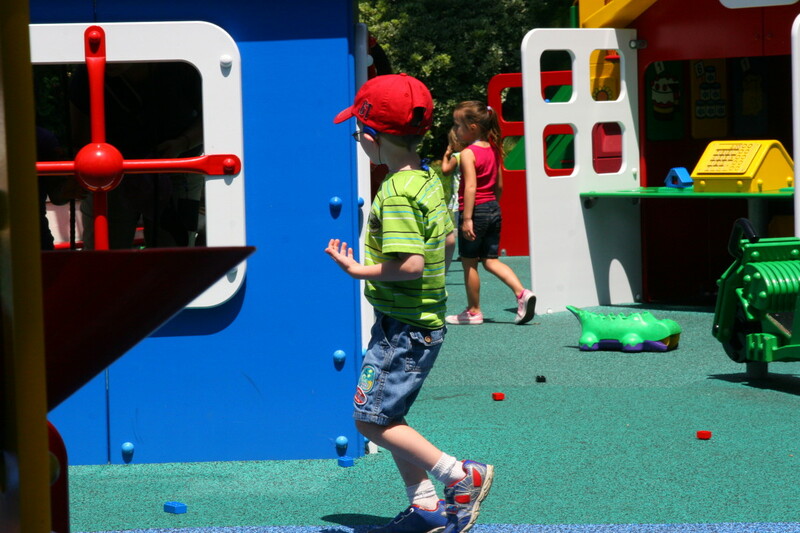 Duplo Village is aimed at the preschool set, and has a fantastic playground for young children. 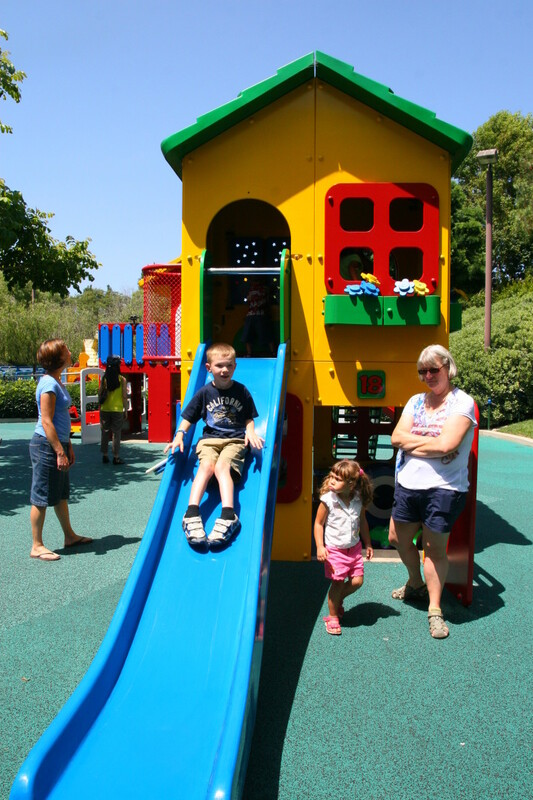 The playground consists of several houses that look like Duplo creations, and has slides, ramps, and plenty of Duplo bricks and train tracks for creative play. There is also a splash pad in the area, so parents should be aware that young children may run through this area and get soaked with less than a moment's notice! The author's two sons enjoyed this playground immensely and spent a large amount of time building and exploring the general area. The pretend jail and ambulance provided fodder for a lot of imaginative play. The Safari ride and the Fairy Tale Brook ride are extremely sedate and geared toward infants through preschoolers. The Sky Cruiser, a visually attractive and extremely slow loading ride, is located in Fun Town. Visit this ride first thing in the morning if your children will want to ride it. Many of the rides in Fun Town are kid-powered, and kids love pedaling, pulling on ropes, and using other devices to control their ride experience. The Kid Power Towers operate with the use of a pulley system - children (and their parents) pull on the rope to reach the top of the tower, and release the rope to have a gentle "fall" down to the ground. Children can get their driver's licenses at the Volvo Driving School - there is one school for children ages 6-13 years, and another for preschoolers ages 3-5 years. The cars are not on a track and the kids absolutely love driving on "real" roads with stop signs, street lights, and other traffic signs. An interactive Fire and Police Academy allows families to work together to put out a "fire," by shooting water guns at fire/burglars after navigating a truck down a track. This ride was a favorite of the author's sons, who enjoyed controlling the ride vehicle and aiming the water gun. 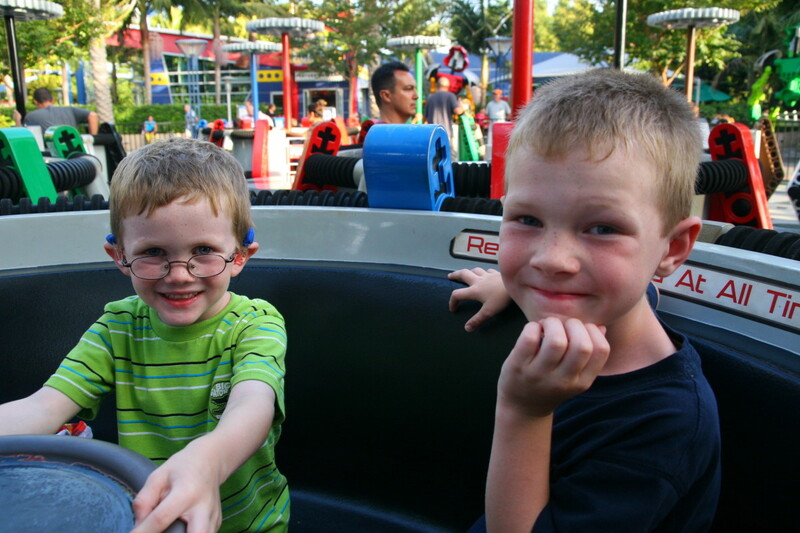 The rides in this area are a favorite of preschoolers and elementary school aged children - there are few height requirements, so young children may enjoy almost all of the rides with their older siblings and parents. Warning: you will get wet in Pirate Shores. This entire area is filled with water rides, splash pads, and a water playground. Change children into bathing suits before entering this area, and have towels and a dry change of clothes ready when the kids are done playing. Splash Battle and Pirate Reef are both boat rides involving the use of water cannons. Pirate Reef offers a ride down a flume that guarantees everyone will get soaked - including spectators on the observation bridge. Treasure Falls is a standard log flume ride aimed at young children - the drop is only 12' long, and gentle for young riders. Swabbie's Deck is a splash pad for infants, toddlers, and preschoolers. This zero depth water play area is safe for all children. 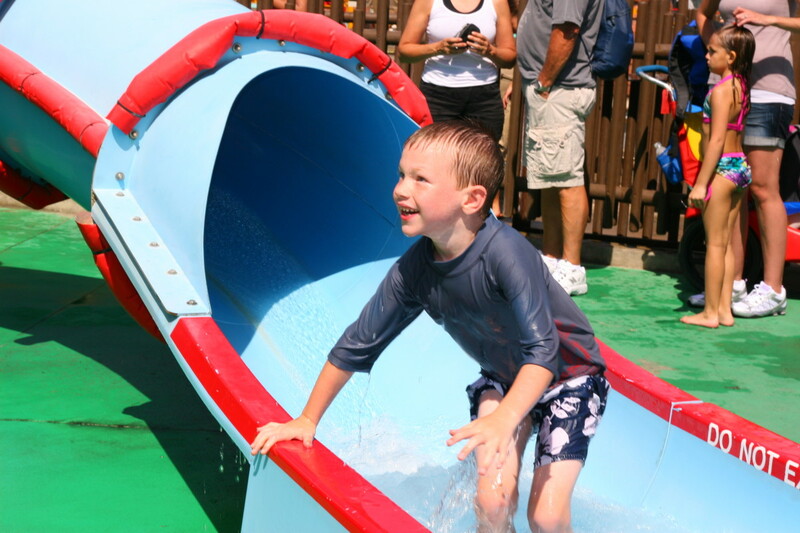 Soak-N-Sail is a water playground with water slides. 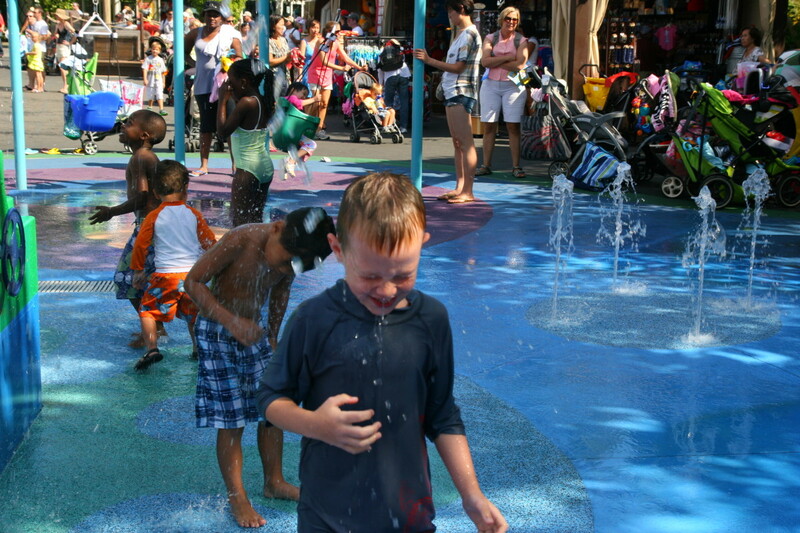 A large bucket full of water regularly tips over the entire playground, soaking everyone in the general area. Swim diapers are required for all children under four years of age on the Soak-N-Sail water playground. This is a great location to cool off in the heat of the day. Castle Hill includes the Dragon roller coaster, a moderate thrill for kids approximately 4 years and older. This coaster has a minimum height requirement of 40", which precludes toddlers and young preschoolers from riding. The ride is swift but gentle, and is a good introductory coaster for young children. A unique thrill ride, the Knight's Tournament, is located in this area. Riders are harnessed into "arms," which rotate and flip according to the pre-set thrill level. Young children (40" height requirement) are limited to a low level thrill factor, but teens and adults will love throttling up the adventure to a level 5. The royal joust is a fun, horse-back ride for preschoolers and young elementary school aged children. Older children (maximum age of 12 years) and adults are not permitted to ride. Kids love riding the horses along a circuitous path. A professional photographer takes pictures of children as they exit the ride - photos are sold at an adjacent shop. An enormous castle themed playground is located in Castle Hill. Tunnels, giant slides, cargo nets, and bridges allow kids to play and run off steam. 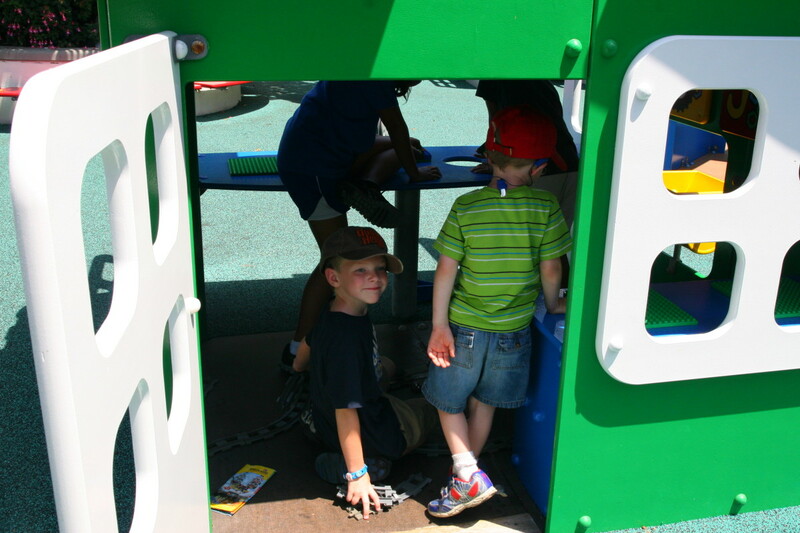 Children may decide to stay inside this play area for the entire day once they enter the playground, so it is a good idea to set a time limit before setting them loose. 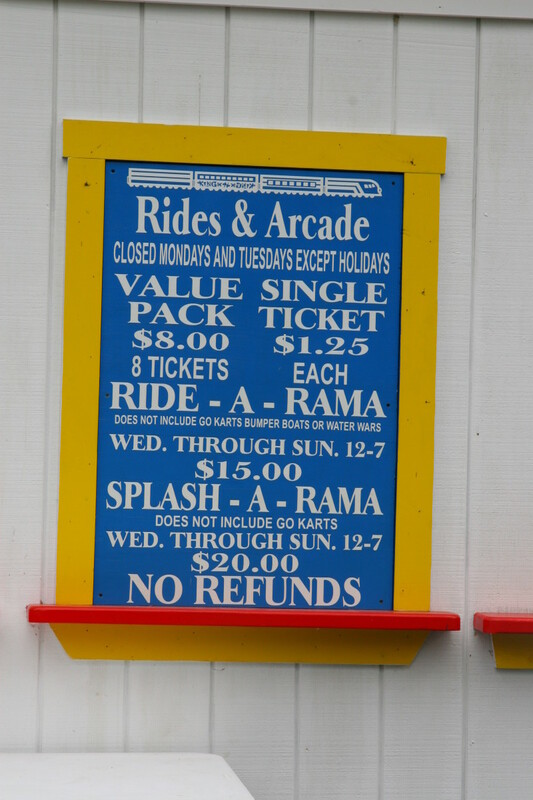 There are several attractions that require money in this land - if you do not plan to shell out extra money for midway style games, forewarn your children that these attractions are off-limits. The entire area is themed as an Egyptian adventure. An arcade-style dark ride allows families to shoot laser guns at targets as they travel through a "lost kingdom." 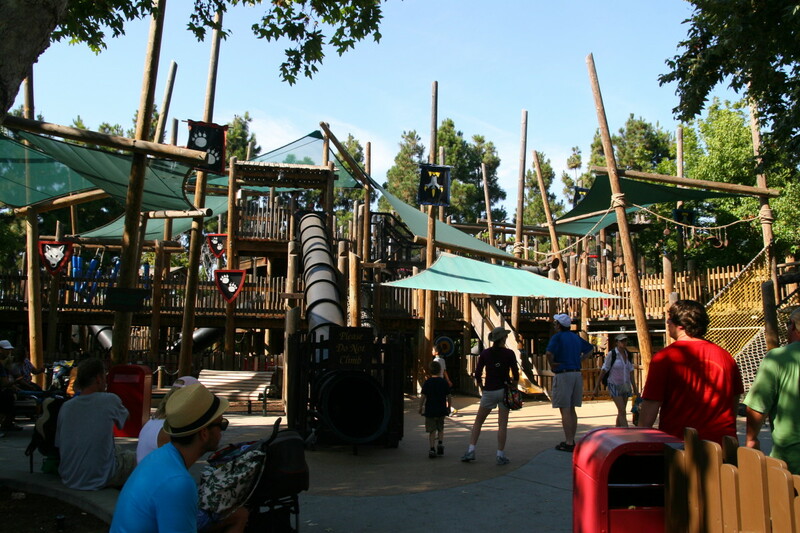 Another playground is located here, and children are able to run through a multi-level play structure and shoot foam balls from various cannons. This is another excellent place to let kids burn off steam. This playground is also easily avoided if you do not wish to spend more time on another playground. 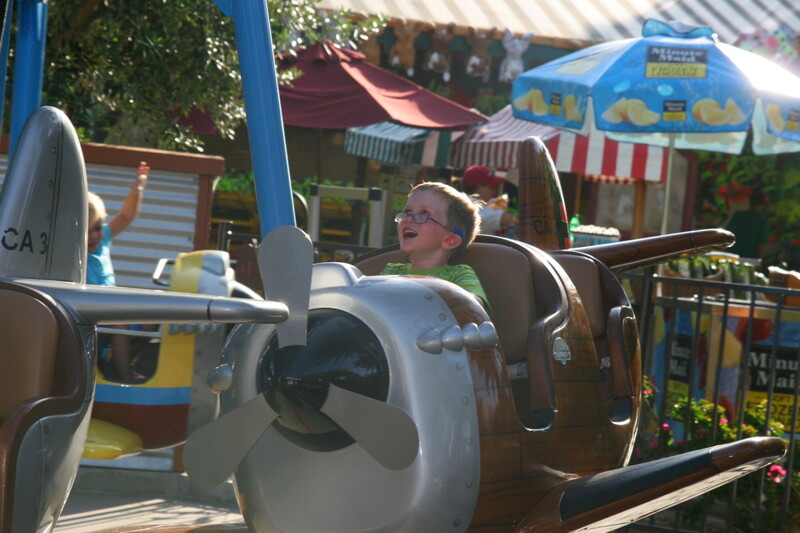 A "beetle bounce" ride (small hopper style ride for young children) and an airplane ride (dubbed "Cargo Ace") are also located in this land. Every ride in the Imagination Zone has a minimum height requirement, and is geared toward teens and older children. Young children who meet the height requirements and have a love of thrill rides will also enjoy this section of the park. The park's wildest coaster, the Lego Technic Coaster, is located in the Imagination Zone. With a minimum height requirement of 42", most preschoolers cannot ride. The coaster is tame compared to those found at thrill ride parks, but does have a 50 foot drop. A spinning cup style ride, the Bionicle Blasters, is also found in this area. This ride spins wildly and also has a 42" minimum height requirement. The Aquazone Wave Racer is a milder ride, and has a 40" height requirement. This ride spins passengers around a central axis over water - this is another Legoland attraction that is guaranteed to get the rider wet! Miniland, USA is well worth a visit. The miniature versions of San Francisco, the White House, and other famous structures in America are extremely detailed. Some maintenance is needed to replace peeling blocks and faded structures, but the attraction is still interesting and well designed. 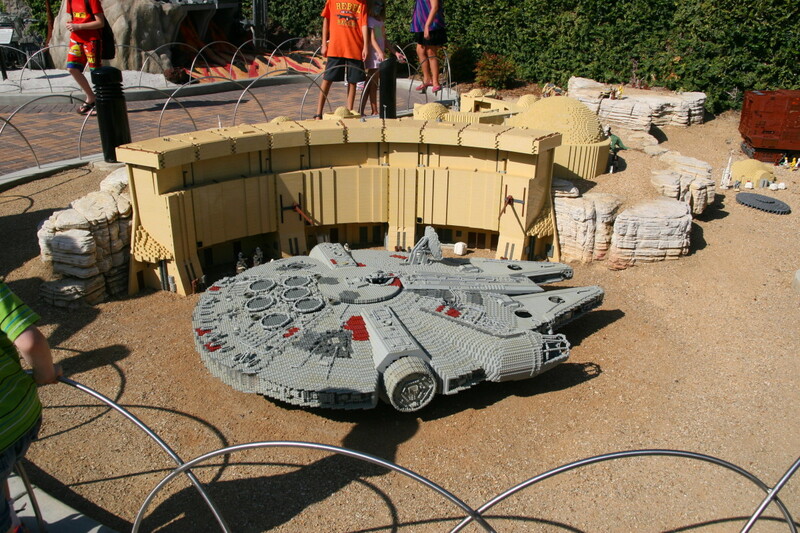 A Star Wars section has recently been added to Miniland, and is highly appreciated by many families and children. A life-size Darth Vader has been recreated out of Lego blocks, along with several scenes from the Star Wars movies. This area doesn't take a lot of time to explore and offers a welcome relief from standing in line. Teaches, I just read that they opened a Legoland in Winterhaven, Florida. I hope you get the opportunity to visit! 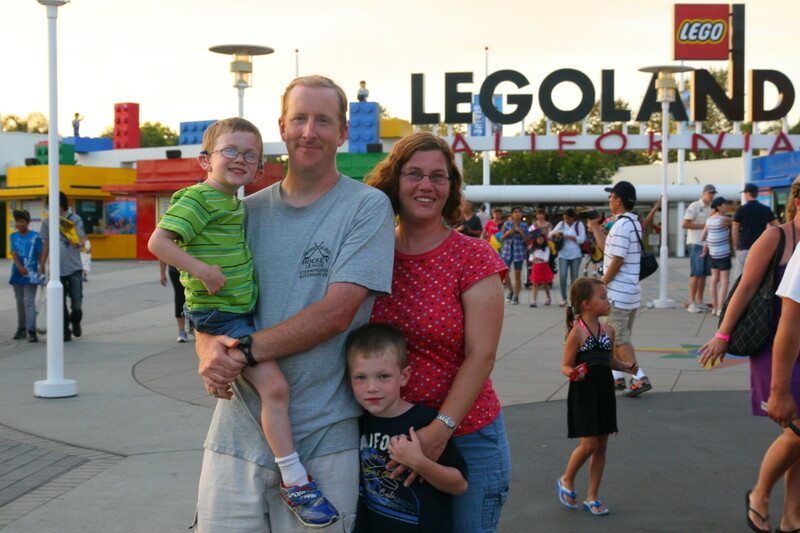 We haven't been to Florida with the children yet, but if we ever do Disney World, we'll probably visit Legoland as well! This is a great review on a fun place. We do have one of these near Orlando and I hope to visit it soon. It sounds like a win-win! 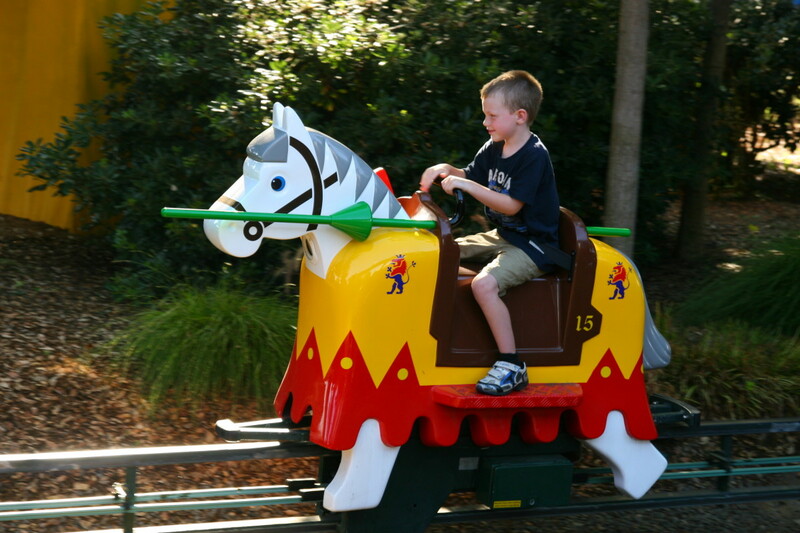 Some rides do require an attending adult if the child is under a certain height requirement, but the boats, cars, jousting horses, playgrounds, etc. are all for the kids. It might be worth a visit with your son - he'd probably love it. 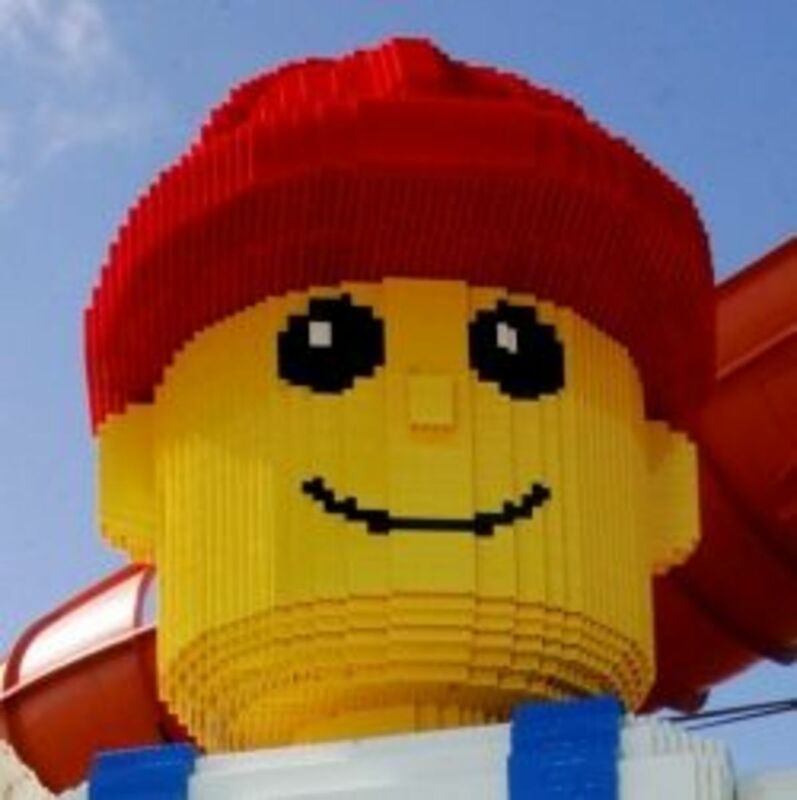 The only negative with Legoland is that some attractions are for children only. This is fine if you are prepared to sit and wait for a substantial period of time - we sat for an hour at each playground, and sat for 45 minutes while the kids rode the jousting horses. 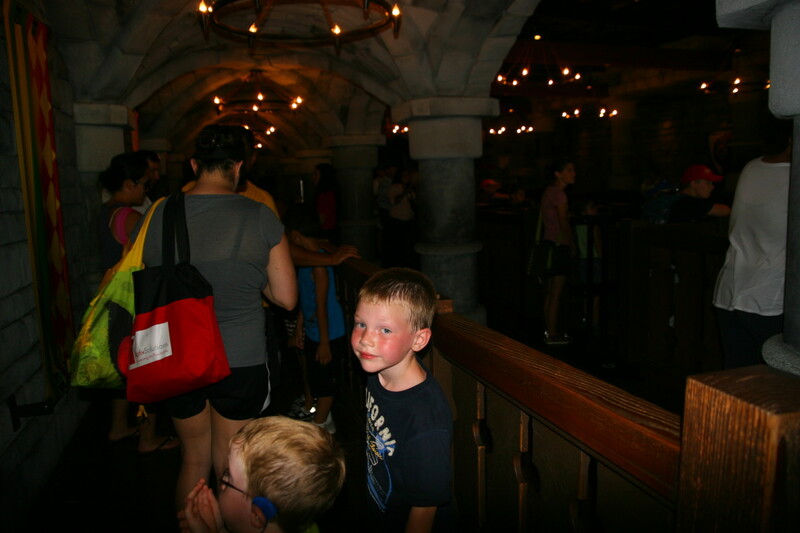 We were fully aware that we were going to the park FOR THE KIDS, so it was fine - but parents shouldn't expect a Disney style experience where the whole family can participate on every single ride. My goodness this looks great! 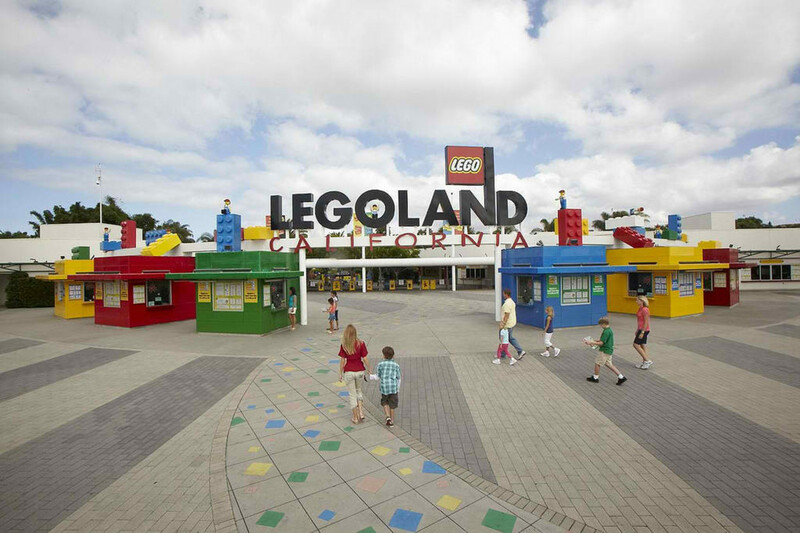 If only I lived nearer to California ;) We have a Legoland here in England in Windsor, but I have never been. Some people have told me it's good and others said not to bother. I don't think it's as good as the one you've reviewed here - but as ours is just down the road I might go along with my son. Great hub - voting up. It is a fantastic park for young children, lindacee - we loved it because our small boys could ride almost everything in the park. This was a relief since my younger son is small for his age and is often kept off thrill rides, which he loves. He was actually tall enough for the Technic coaster, though we didn't ride it on this visit. We had a "kids get in free" deal through a Burger King promotion, and were very grateful for the savings! Wonderful tour of Legoland! The park has expanded a great deal since I lived in Carlsbad -- and now they're building a hotel on the property. Wow. Guess the steep admission prices aren't scaring many people away. The AAA discounts would certainly come in handy. I only went once, when our grandson came to visit and thoroughly enjoyed it! It was a great day for the kids, Lipnancy - it was heaven on earth for my four and six year old boys. 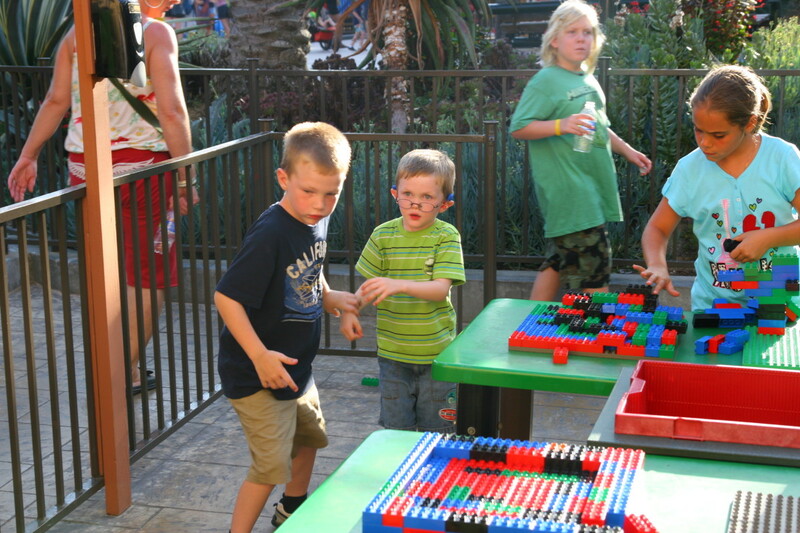 My husband and I far preferred Sea World with its shows and exhibits, but I think the boys liked Lego Land the best! This sounds like a very fun and wet day for everyone.